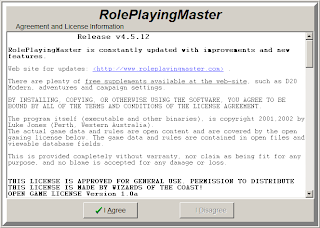 Not every person who DM's 1st edition wants or needs a piece of software that puts a majority of data at their fingertips. Like many, I am just as apt to sit down and write out an entire module, encounter, or campaign by hand. Let's be clear though: I don't "want" the computer/laptop to replace the books/maps/endless sheets that I so love to peruse and re-read countless times. 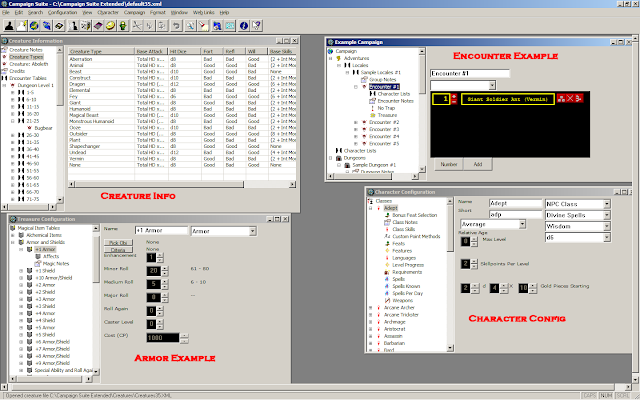 I still want the game to be central, and the reference screen/software program to supplement my game. See, I want and need that tactile feel, but what I would love to have is a program that compiles/collaborates all of the items that "I" need in one tight, neat little package. For clarity, let's call this program Project X. The way this works is that within the main window, I have a couple Custom programmable buttons. 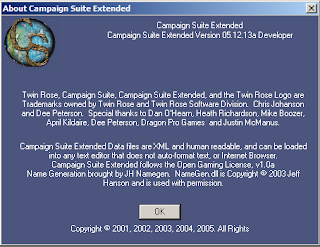 Since I use the RPG City Map Generator and Tavern Maker, I want to be able to plug in the executeable of these two (2) programs inside Project X - and then with one click, voila, they start. So, we now come to my own findings of various software packages currently - or in many cases - no longer available from the original company, yet which I have in my possesion and have tested/used. NOTE: These are my own personal findings of each program. I do not claim that these are anything more than my own opinions and findings, and I've received ZERO compensation from all of the packages reviewed below. Included with each program's review are some screen shots (with my own personal notes added for clarity). This program sits at the top of the screen, and the middle section is open - i.e., you can access your icons on your desktop (just like your task bar at the bottom). 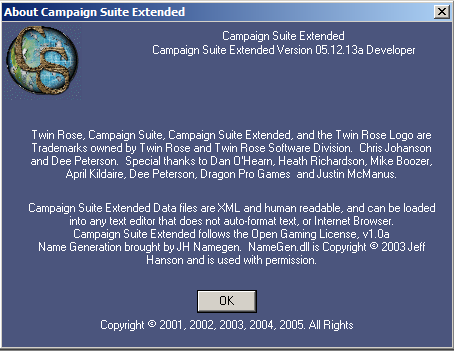 Excellent feature and something that I wish more programs considered. 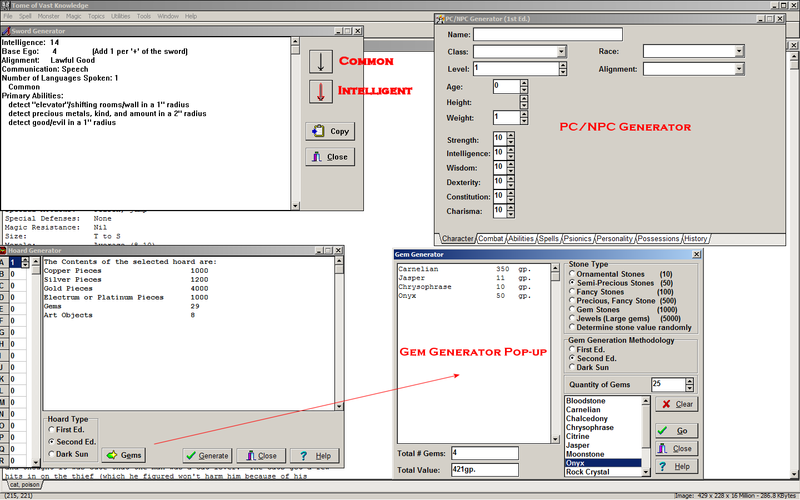 NOTE: The 3 generators are bonafide excellent, truly the stars of this software. 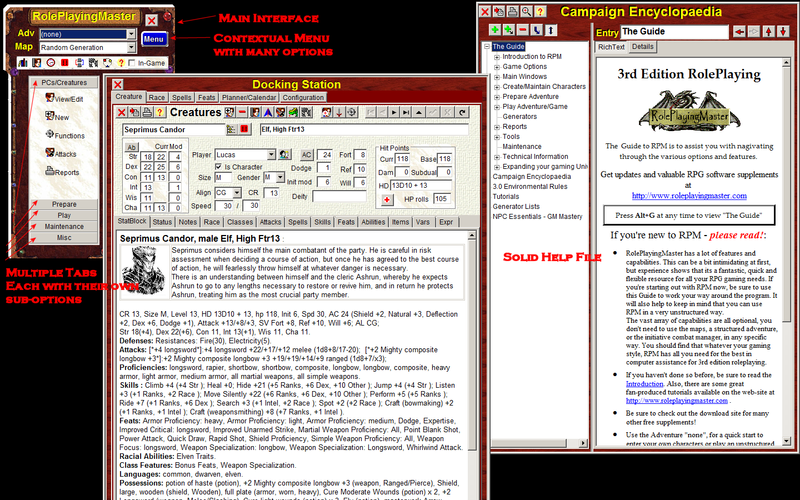 Tools includes: E-Dice (Custom die available), Text editor (for campaign/miscellaneous notes), Image viewer NOTE: The E-Dice roller is very good. Overall, The Tome of vast Knowledge has some nice features, has a solid layout and the Generators are really good. I've used the various Generators but overall the package falls short of being something that stays on my desktop for extended gaming sessions. This is an excellent package. Simple to use GUI with a ton of options. Once nice feature is when you choose to work on a specific element - say a monster, is how Campaign Suite opens up a seperate GUI inside. This allows a user to have seperate windows open and keeps their other data available for quick reference. Suffice it that it's an OGL/D20 Based System, is versatile and I really wish the company was still in business so that 1E material could be added. Overall this is a package I refer to frequently. 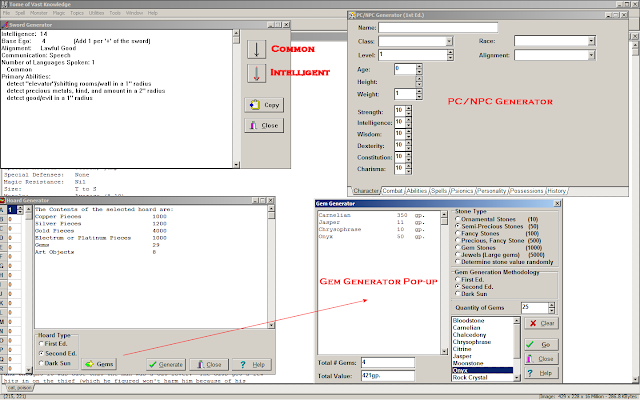 Small GUI (Graphic User Interface) on start up, with drop downs and contextual menus. This software rates high for what it has. The ability to create an adventure and have separate section(s) for encounters/maps etc. is a very solid concept. Creating lists of names/cities etc. is a breeze with this package, but it's focus is 3.0, and last activity was 2006 on the main website for updates, and the Yahoo Group has little activity.